This family was visiting from Sydney and wanted to grab some updated professional family photographs while on holiday on the Gold Coast. 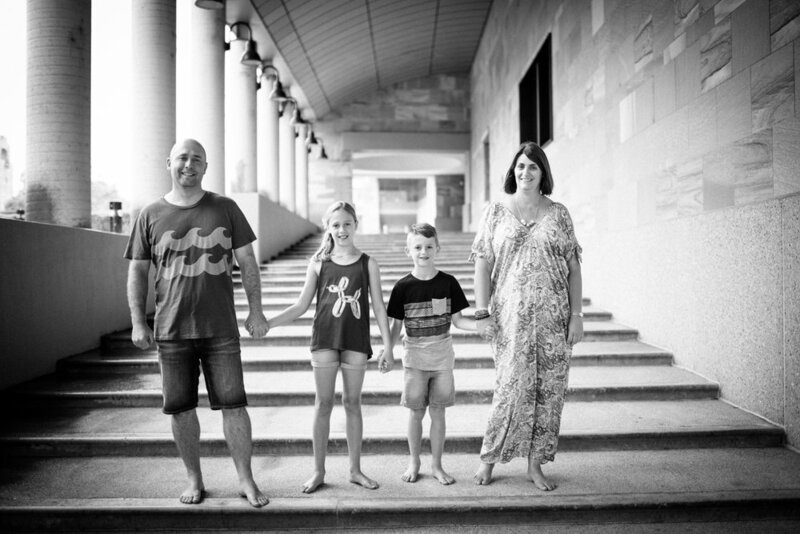 With only a short timeframe to spare and pouring rain, we decided to find shelter at Bond University and do a rapid session to capture their beautiful family of 4. We literally took these photos in a 15minute window. Proving that even if you don't have much time or weather isn't perfect, there is no time like present to capture your family right now.